We leave in about a week!!!! We are REALLY encouraged by the emails people are sending regarding us moving up to Orkney (NE Scotland – or – west or Norway) next week. God really seems to be in this move, even though i have a hard time explaining the rational reasons why we are moving our base to an island. MH: (Orkney) “Andrew, Hi , we haven’t met ( yet) but a wonderful and well loved friend TK sent me in the direction of your Blog today . Email stinks sometimes coz I don’t really know what to say but I did burst into tears when I read the mail from Tom and then the entry on 27 Sept about Orkney so my spirits happy even if I seem positively unable to communicate. It’s been a very “interesting ” year here but I am so encouraged about what God is up to . Me , I pray and go on trips and take others on trips and am presently spending time working into old pigrammage routes. I love my life and God rocks. It’s defintely moving in Orkney which is cool ( and whatever that really means) more people who are just living the thang are always a joy to have here. I don’t know when you’re coming up again , would love to hear the story and meet with your family. You are welcome anytime in my house. Would love to hear from you and some of your plans. Fiona (Orkney): “Consider yourself welcome on your arrival – is that Hamnavoe on top of your site or a bigger ferry? 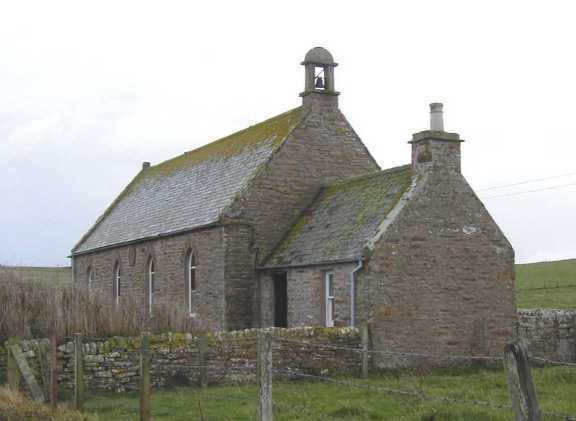 C (USA) “Something inside me resonated as I read about your plans to start a monastery in Orkney. Something inside me was saying, “Be a part of this.” I don’t yet know for certain who or what was speaking inside me. I’m inclined at this point to think it is the Holy Spirit, and the Spirit’s message within me has been strong enough over the past week or so that I’m writing you. Andrew, i have to apologise for joking about your family moving to the islands, “where people speak with a funny accent” (back when you were here in Budapest). Actually, as i read about what God is preparing, i humbly feel like visiting this future pilgrimage/monastery-to receive blessing. May He bless you&Debbie in getting everything packed up. Eager to read posts about the happenings. Praying.